Ragamala (‘Garland of Ragas’) was one of the most popular genres of court painting in the Mughal period. 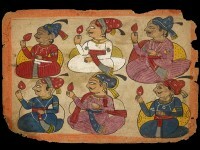 The spirit or essence of each raga or musical mode was evoked in poetic verses and depicted in paintings, according to long established conventions. 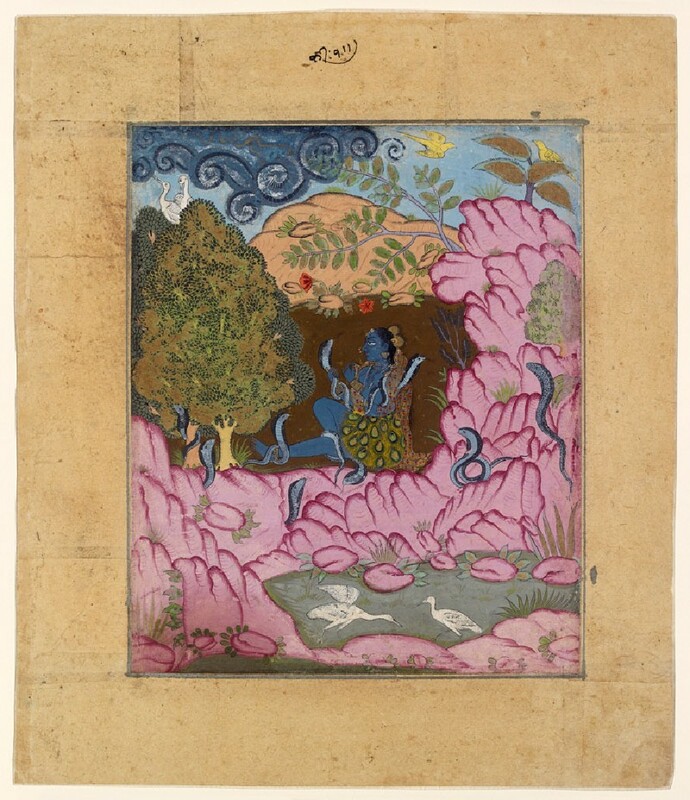 The mode Asavari, usually performed in the early morning hours, is depicted as a dark-skinned tribal beauty, who lives alone in remote mountain forests where her presence charms the snakes down from the trees. This painting is from a dispersed ragamala series painted in an unusual, expressive style which combines Rajasthani and Deccani features. Seven of the 21 surviving pages from this series are in the Ashmolean [EA1992.63, EA1991.154, EA1999.22, EA2001.32, EA2001.33, EA2012.230].